I took this photograph of the Hotel Negresco out of the side window of the car on a trip back from Nice in September. This magnificent overblown wedding-cake style, belle-époque building, instantly recognisable by its pink domed roof, stands proudly on the Promenade des Anglais. The hotel celebrated its centennial in 2013. You can see five centuries of French history in the hotel’s art and furnishings, where portraits of Kings and Queens rub shoulders with more contemporary works by Sosno, Dali, Gruau, Moretti and Nike de Saint Phalle. But what makes this iconic building even more special is its fascinating history. 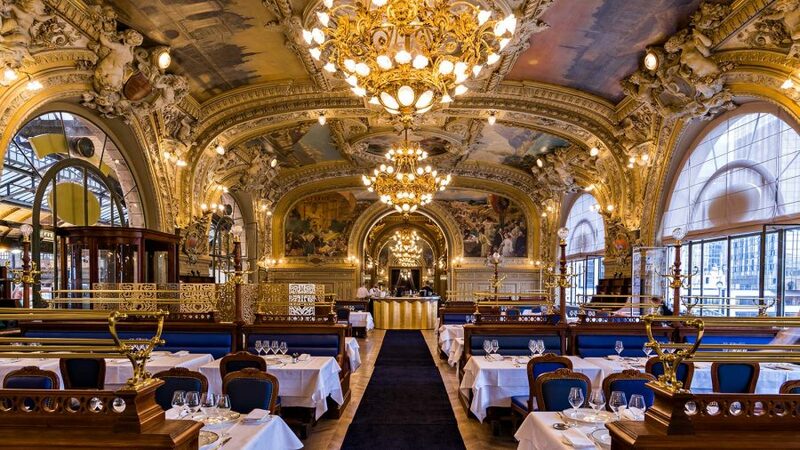 Built by Bucharest-born Henri Negrescou, who’d carved out a brilliant career within the hospitality sector. His vision was for a fabulous palace to attract the great and the good. 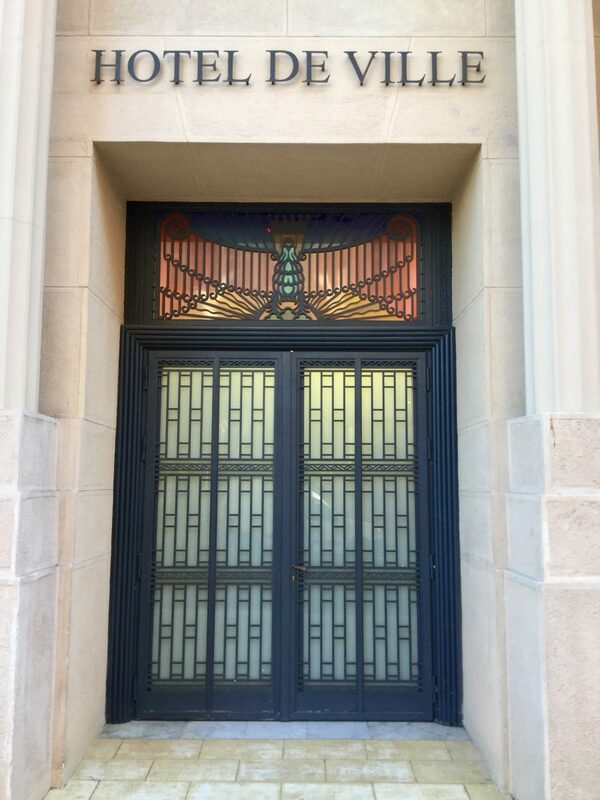 Sadly, during WWI, the hotel was temporarily converted into a hospital which led to Negrescou’s financial downfall. The hotel was sold to a Belgian company and then acquired by a Breton butcher, but it wasn’t until 1957 that it regained its former glory after M. Mesnage spent eight years renovating it together with his daughter Jeanne and her husband Paul Augier. The current and sole proprietor, since the death of her husband in 1995, is the charismatic Mme. Jeanne Augier, an animal activist (the Negresco is a pet-friendly hotel) and art collector who has taken the hotel to new heights. She still lives in a private apartment on the top floor of the hotel with her two dogs and continues enriching the hotel with the incredible art collection that she has procured over the years. Wednesday 15 August, Assumption Day and a Bank Holiday, signals the end of the French holidays. Most people will be back at work by Monday 20 August. Nice was marking the day with a firework display, its first since the terrorist atrocity on 14 July 2016. After a day working – we tend not to observe any Bank Holidays – we decided to head into Nice for dinner and to watch the display. The traffic was slow because the Promenade des Anglais had been closed to traffic for the evening but nonetheless there was space in our preferred parking garage, near to the Hotel Negresco, for a quick getaway. There were a fair few cyclists about and, looking at their bike frames while stuck in the traffic, we noted how things had changed since we had moved to France. When my beloved joined his first cycle club, pretty much everyone rode on either Time or Look frames, both French companies. Indeed my beloved bought a Time bike which he subsequently sold to a friend who’s still happily riding it. My beloved now rides a Trek, an American bike, as do many at his new club. If not Trek, it’s Specialized, Cannondale or Scott. What an about face! I don’t know whether it’s due to the influence of the professional peloton where many teams are sponsored by bike brands, greater availability of non-French brands, location – our LBS is a Trek dealer – or something else entirely. If anyone knows the answer, drop me a line below. 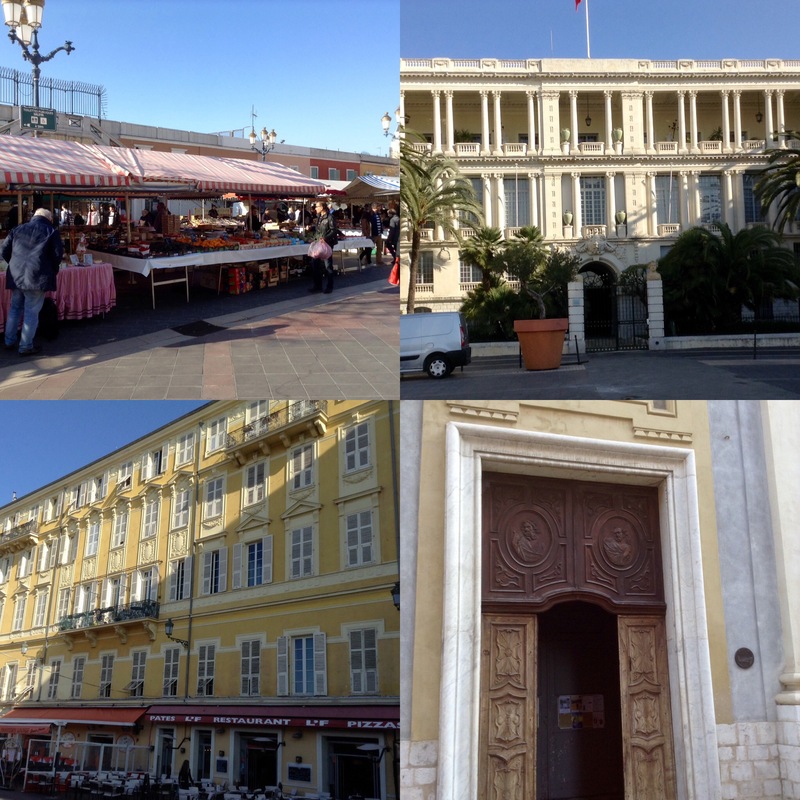 We parked and walked over to the Old Town – home to a wonderful market in the mornings – because the firework display was going to be held at that end of the Baie des Anges. Though from experience we know it can be viewed from miles away. One of the restaurants had a lobster sandwich special which caught both our eyes. Sold! I may have mentioned it before but I do love lobster. I once ate it everyday on a two-week vacation in New England. The only thing better than lobster, is more lobster. I know my diet is plant-based but I do still eat fish. The restaurant even had a couple of vegan options on its menu, but I wanted lobster and it was a heavenly sandwich. After dinner we drifted back to the Promenade des Anglais to find somewhere to sit but the place was packed. However, the 20 minute firework display was spectacular, well worth standing to watch. As anticipated, we got away quickly from the parking garage and were home in next to no time. We really don’t go into Nice often enough in the evenings, the last time had been back in April when we’d taken friends out for dinner. We resolved to try and go at least once a month. I suspect this may well go the way of many of our resolutions. One of these years I will endeavour to follow the entire route of Paris-Nice, just not this year. 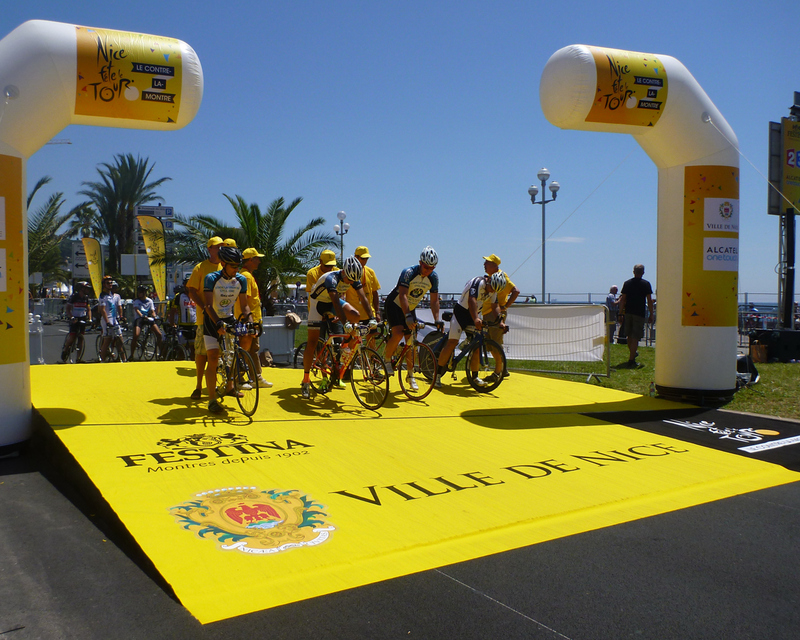 This time I joined the race for the start of stage 5 in Salon-de-Provence. We’ve visited the town a number of times as my beloved has a client here. But, last year, during the Tour de France, was our maiden venture into its small but beautifully formed Old Town. My overnight stop was chosen deliberately because of its prized location, with a parking place, most of which in the town had been suspended because of the race. The B&B is the family home of a doctor, who runs his practice from the front two rooms, and his designer wife who runs their home, the B&B and her design practice from the rest of the building which includes a delightful, enclosed courtyard garden and pool. I was buffeted by the wind on the drive down but didn’t mind as the sun was shining. Everything looks so much better in the sunshine, doesn’t it? Spring was definitely in the air. The mimosa might be on its last legs but the bright lime green of new leaves and shoots was everywhere, along with what I assume is cherry, or maybe apple, blossom. As anticipated the drive took me just over two hours. I easily located my lodgings and joined my hostess for a reviving cup of green tea while her tiny dog Lilli gazed at me in adoration and gave my shoes a quick clean and polish. The owner looked a tad put out at this open transfer of affection. I didn’t bother to enlighten her about my enduring and inexplicable attraction to dogs. The house was charming and had been strikingly decorated. It certainly wasn’t to my taste but it made a pleasant change from a beige hotel chain bedroom, plus my bedroom and bathroom were very generously proportioned. Space is always a bonus. I was also their only guest and barely made a dent in the copious breakfast the following morning. I had arrived suitably laden with baked goodies for a number of the teams. I noted with interest that my race winning brownies served up at Strade Bianche had wrought their magic in the team time-trial at Tirreno Adriatico. Maybe, they’d have a similar effect at Paris-Nice, I certainly hoped so. Brownies handed out and gratefully received, the peloton departed and I tarried over lunch in the sunshine before heading back to the motorway to get to the race finish in Sisteron. This is a much used location by ASO and I’ve lost count of the number of times I’ve visited. I’ve also ridden extensively around here, so it’s always a pleasure to revisit. I typically stay at the same hotel, the Ibis. Definitely beige but usually in the company of a couple of cycling teams. This time it was to be Lotto Soudal and Astana. As I joined the motorway I had an epiphany. I cancelled my room in Sisteron and drove home. I just had this feeling that I should watch the stage finish, not the stage start. This was to prove a wise decision. Friday afternoon, I drove up to Vence to watch the final kilometres of a stage which covered roads I know, ride regularly and love. As ever I get a real kick from seeing the professional peloton ride on my roads. My instincts proved correct, the stage was won by a friend, Rudy Molard. I was so happy for him. And, yes, he’d been one of the recipients of my race-winning brownies! Sadly this year’s Race to the Sun was no such thing. The week-end was a wash-out. I woke on Saturday morning to the sound of pouring rain, rolled over and went back to sleep. I had no intention of getting soaked like the previous week-end in Siena. 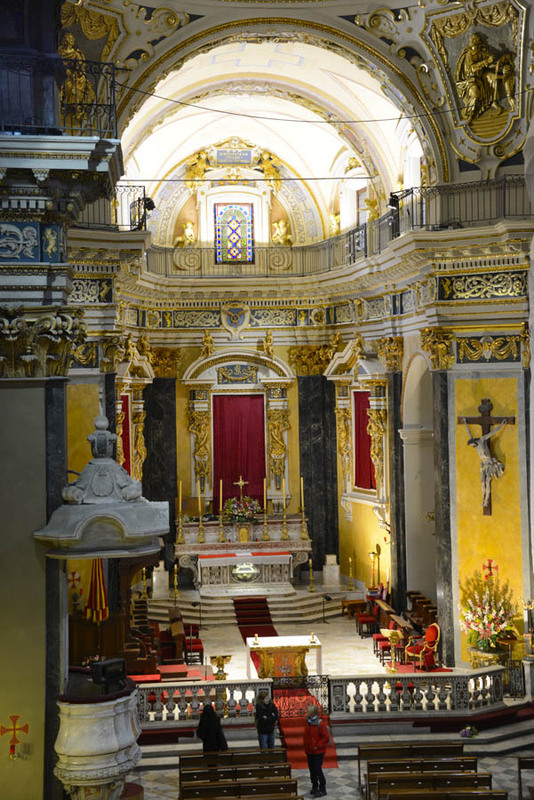 Instead I watched an enthralling stage on the television before heading to the airport to collect my beloved, where I discovered – not for the first time – he’d misinformed me about his arrival time. I returned home, took his dinner out of the oven and returned once more much later. Sunday morning we awoke to the sound of heavy rain and wind. We took an executive decision to watch the final stage of the race on the television. This too proved to be wise as, with the exception of the last few kilometres, it rained all day. It felt like a bit of a cop out not to watch both stages live but, to be honest, my flu symptoms had reared their ugly head again. Serves me right for kissing so many in the peloton who were subsequently DNF or DNS on account of the flu. However, when you get to my age, the opportunity to kiss so many fit young guys in lycra shouldn’t be ignored, despite the consequences. In spite of the weather, or maybe because of it, this year’s Paris-Nice was a rip-roaring race which kept us on the edge of our seats throughout before a long-range, smash and grab by the Spaniards on the final stage causing a couple of wags to re-christen the Promenade des Anglais, Promenade des Espagnols! 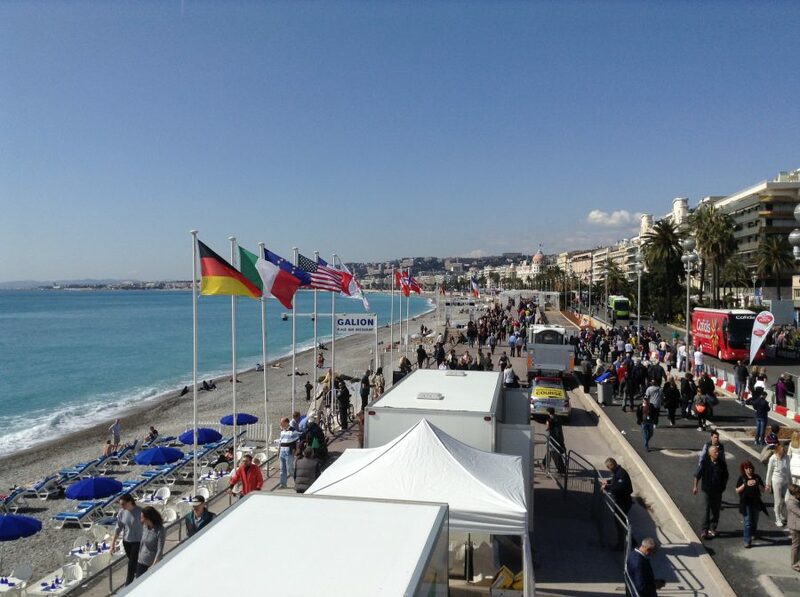 Next out of the bag is a photograph of the Promenade des Anglais taken in early March on the last day of the Paris-Nice race. I’ve chosen it in memory of all those who were injured or lost their lives there in a senseless act of violence on Bastille Day that surely wouldn’t have been countenanced by anyone’s god. The Promenade stretches along the seafront of Nice between the beach and the road and is always bustling, not just with people strolling in the sunshine but also dog-walkers, joggers, cyclists, in-line skaters and sightseers, many of whom pause on bright blue chairs to enjoy the azure sea in the Baie des Anges. The road was financed by the English and the City of Nice in the late 18th century largely to provide work for the unemployed, hence the name. Yeah, I know it’s just up the road but it occurred to me that I don’t bang the drum enough about my home region and, this year, the final two stages of Paris-NeigeNice were both around Nice and the Niçois hinterland, and it WAS a race to the sun. Every time I attend an ASO organised event I am reminded of what a superb job they and their staff do to make the race run seamlessly and seemingly effortlessly. However, if like me, you’ve been involved in arranging or managing any mass participation events, you’ll appreciate how much work goes into it. In addition, ASO are constantly innovating. This year there was a sizeable village with plenty of stands and activities for all the family. And that’s not all. Last year ASO organised Challenge #ExploreNice, a multi-stage sportive showcasing the area. 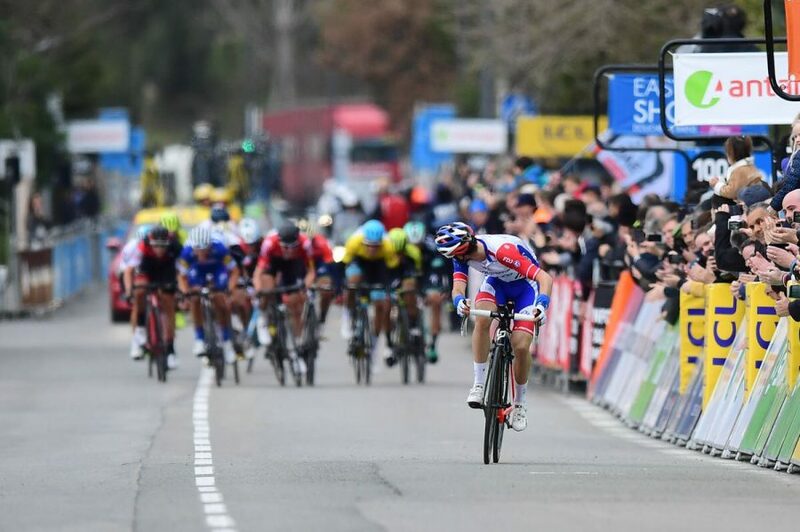 This year the one-day Paris-Nice challenge saw amateur riders, including my beloved, tackle Sunday’s stage on Saturday. 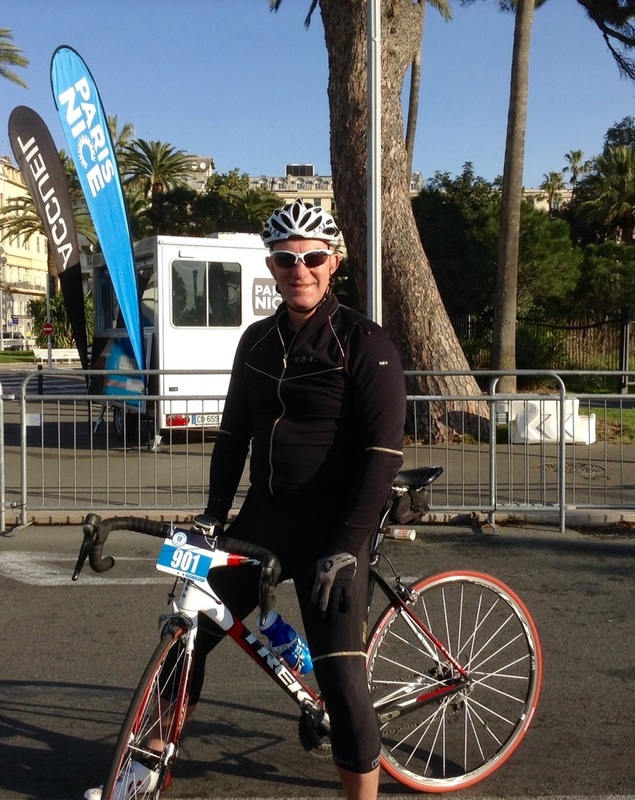 I dropped him off nice and early in Nice on Saturday morning, well before the sign on for that day’s stage, leaving me to hang around to collect him later. He calculated he would be back at 13:30, and he was. Meanwhile, I watched the start of the queen stage of Paris-Nice where anyone who harboured GC ambitions would have to make their move on a parcours which proved probably more difficult that many imagined: a summit finish, seven climbs and barely any flat, apart from the roll-out on the Promenade des Anglais. The stage didn’t disappoint with the leading protagonists enjoying a ding-dong battle royal up La Madone d’Utelle where, cruelly, the steepest section is in the last 500 metres. It’s a deceptively long and difficult climb and I’m speaking from experience. I had whipped up my race-winning brownies for a couple of my friends (and their teammates) who were taking part. I felt they deserved a treat given the cold and snowy conditions they’d had to ride through on Wednesday. You might wonder why I call them race winning brownies. Suffice to say those who have eaten them in the past have won the stage or gone on to win the overall race. This time the teammates of my friends won the overall and finished third on the podium. Ironically, I was rooting for runner-up Alberto Contador. I really must make him some of my brownies. At most ASO events, while the race unfolds, someone will engage with the spectators and ask them questions about the race. If you answer the question correctly, you get a prize, typically a bidon. I love Cycling Quizzes. After an embarrassingly large haul of bidons, my beloved pulled me away before the quizmaster started saying: “Does anyone other than Sheree (yes, he knows me by name) know which of today’s participants has won the most stages?” Easy, peasy that’s Tom Boonen with six stages. Am I the only person who knows the correct answer? It would appear so……………. Sunday morning we were down bright and early to enjoy breakfast in the Cours Saleya in the Old Town, always worth a visit. There’s a flower, fruit and vegetable market every morning save Monday (antiques) and the better stands with local producers are to be found at the far end of the market. Suitably fuelled, we headed back to the start area to catch up with friends and acquaintances all enjoying the warm spring sunshine and the prospect of another day’s great racing. 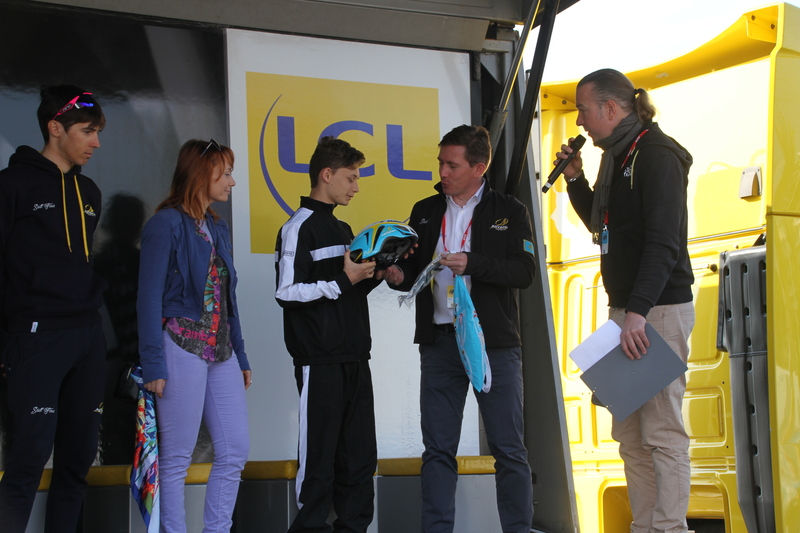 Before the riders signed on, ASO and Astana held a touching presentation in memory of Andrei Kivilev who, while riding for Cofidis, crashed and died 13 years ago last Friday. It’s a nice touch and helps young Leonard Kivilev, who was born after his father’s death, and his mother keep his flame burning bright in their and our collective memories. While my beloved took photos of the sign-on, I looked around for riders to have a quick chat to for VeloVoices or team press officers to set up future longer interviews with certain riders. 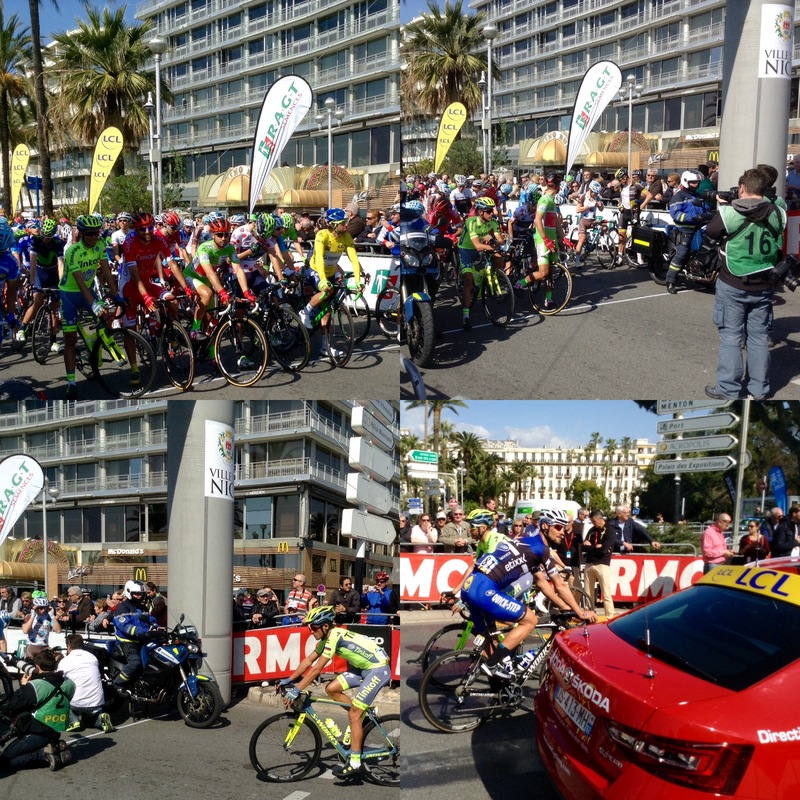 Once the boys had ridden off, I got to see my little cupcake race around the Promenade des Anglais in the Louis Nucera. He’s a little lacking in form having spent three months off the bike due to growing pains in his back. 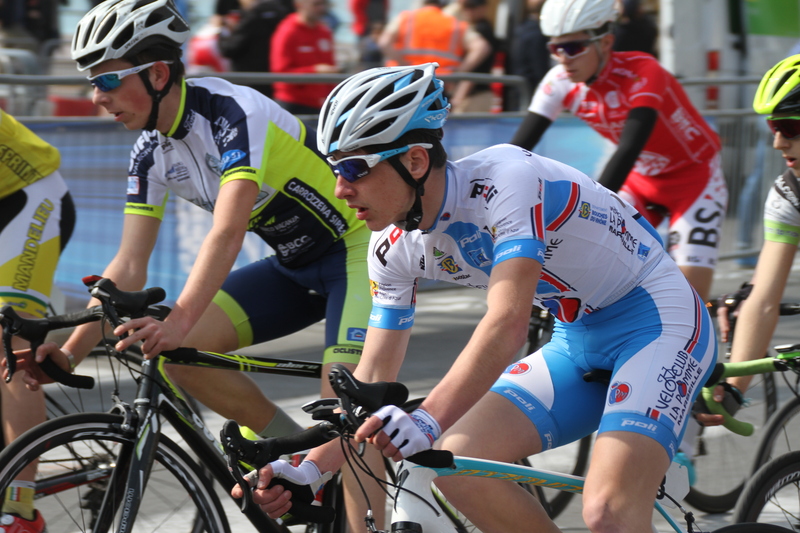 It was a tough event to debut his season thanks to the presence of a few ex-pros, now riding for amateur teams. Once the race was over, my beloved required feeding (again) so we headed to one of our favourites, the roof terrace at Le Meridien which affords a great view of the finish line, though we were back down in time to see the television coverage and the unfolding of an absorbing final stage. Despite his efforts, Alberto Contador couldn’t put enough time into Geraint Thomas to take the title for a third time and was noticeably disappointed on the podium. All in all it was a magnificent weekend and there’s more to come on 14-18 September 2016 when Nice/Monaco hosts the European Road Championships which will be organised by ASO. I realised this morning that I am watching my 10th Tour. How time flies. There are a couple of riders taking part in their 16th and 17th Tours, I’m sure they feel the same. I’ve now gotten into something of a routine. I study the route, make my plans and book my hotels before the preceeding year is out. As I’ll be watching a large part of the first week live, the flat is looking spick and span and the freezer is groaning with pre-prepared (by me) meals. I’ve already worked my way through a rather large “to do” list with some success, aided by my beloved’s absences. I have all my “Tour Guides” to hand, plus the essential list of participants with photos. While I’m at home, all three televisions will be tuned to The Tour, albeit different channels, so as not to miss a moment. Though with France television’s dawn to dusk coverage, this is kind of dangerous! I also have my list of tasks to be completed while viewing otherwise it’s all too easy to turn into a couch potato. Around 47% of viewers watch the Tour just to see the French countryside and there’s a part of me that understands why because I keep a notebook in which I list all the places I’d like to visit after having seen them showcased during the Grand Boucle. It could well end up as a bucket list. Of course, this year the Tour is coming to me and is literally passing our front door, or at least the driveway to the Domaine. I will however be down at the Hippodrome to see the boys head off to Marseille before speeding there myself to catch their arrival. But I’m getting ahead of myself. First, Nice has laid on all manner of Tour related goodies to keep everyone entertained until Tuesday’s team time-trial. Yesterday, the amateurs – singly or as part of a team – got a chance to ride the 25km time-trial course, to the acclaim of a substantial number of spectators lining the route. My beloved took part with three of his mates, much enjoyed the experience and finished in the top half. I meanwhile was manning a friends’ clothing stand in the entrance of Casino Ruhl, next to McDonald’s which afforded me a splendid view of the starting and finishing circuit. I’d like to report that business on the stand was brisk, but it wasn’t. Although much interest was shown in the 100th centenary range produced by G4 for this year’s Tour, as worn by Eurosport’s commentators and journalists. Instead we seemed to function as an outpost of the local tourist office answering all manner of queries in a variety of languages, none of them French. It soon became evident that many visitors had no idea that their stay clashed with one of the year’s sporting highlights and I was dishing out advice left, right and centre as to where to best watch Tuesday’s and Wednesday’s stages. In order to encourage visitors to the stand, I had prepared a number of my well-known baked goodies for the participants to enjoy after their exertions. They certainly brought traffic to the stand but sadly no additional sales. It did however give me the opportunity to trial a few new recipes which will be shortly appearing over on VeloVoices in The Musette. There was an article in yesterday’s Nice Matin talking about our junior cycling team. Sadly, they are no longer our team. Thanks to our youth team sponsor going out of business, the mayor not ponying up the promised funds and government funding available only for full-time, not part-time, trainers, we had to pull the plug on the project at the end of the season. It’s a real shame, but the good news is that all bar one have migrated to a club in Nice where we’ll be able to keep a close eye on their development. 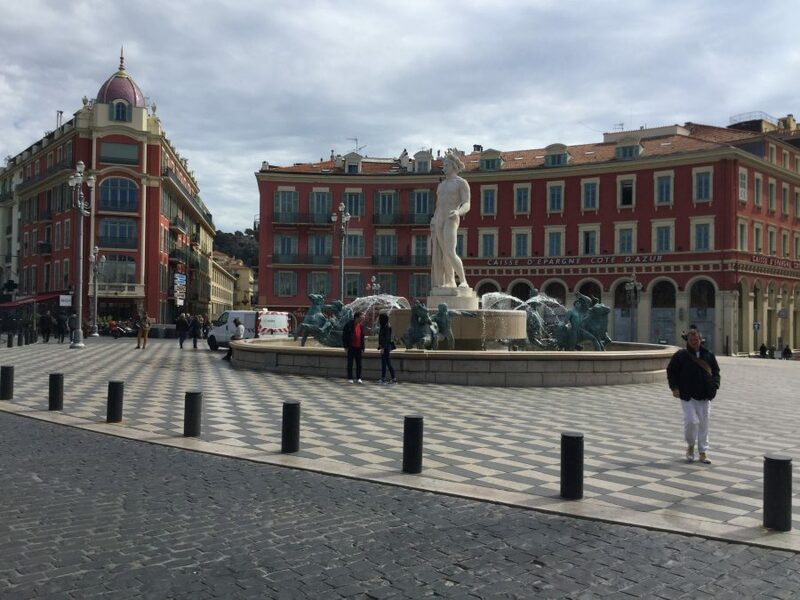 It’s much easier for a large town like Nice, and a club of which the Mayor of Nice is a member, to attract the necessary funding. The most promising junior was snapped up by VC La Pomme in Marseille and we would hope that he’ll eventually be promoted to their continental squad and beyond. The local Town Hall, while supportive of our ambitions, was cash constrained plus we were in competition with the other local sports teams who have had greater success at a national level. While not all of the club’s members were supportive of our ambitions, many were in favour and share our disappointment at this turn of events. Most of our senior racers have been equally disappointed and have elected to change clubs. They’re a fairly mobile bunch and tend to gravitate to the clubs with the deepest pockets or those willing to cover most of their expenses. It’s not cheap racing every week end, particularly as there’s fewer and fewer races in Alpes Maritimes. Our senior racers won plenty of podiums and hence garnered the club, and its sponsors, lots of publicity in the local newspapers. Our current arrangements with Skoda are up for renewal and I suspect that they’re not going to be happy at this recent turn of events. M le President is confident that they’ll sign on the dotted line for another 3 years of support, I’m not sure I share his optimism, particularly given the current economic state of affairs. Skoda are not going to pay to have a bunch of old duffers cycling up and down the coast in their colours. Of course, if Skoda don’t renew, there’ll still be plenty of us cycling around in their colours for quite some time to come as we won’t order new shirts until we find a replacement sponsor. Our ace in the pack is M Le President. As a local business would you want to get on the wrong side of the head honcho down at the fire station? No, I don’t think so. Unfortunately, neither of the local Skoda concessions are on his turf. As an alternative strategy, we could try and leverage commercial contacts via our membership. However, there are a couple of stumbling blocks. Generally the larger local companies have their own sports associations, including cycling teams. Most of our members work either for the local authorities or said larger companies. Typically, most clubs attract sponsorship from small local companies whose owners are club members. We’re no exception to the rule and have been faithfully sponsored by a number of our members who, as far as I can see, derive little or no economic benefit from the sponsorship, although it is tax deductible. So, if you don’t have enough money to set up your own Pro-Tour team and fancy seeing your company’s logo paraded around the Cote d’Azur on a daily basis by a bunch of very fit geriatrics, you know who to contact. I am spending way too much time on club business. My beloved (yes, he’s home until Wednesday afternoon) cannot believe that I have spent all day at my desk while the sun has been shining. But I need to get as much as possible up to date before my departure and then hand everything over to the Treasurer. I have made copious notes and lots of annotated examples to help her otherwise I’m afraid she might just decide it’s all too much and throw in the towel. Strictly speaking, as we’re in France, she would throw in the sponge. But I want no throwing of towels, sponges or any other missiles. Friday afternoon we took the much anticipated decision to run next year’s Kivilev as both a randonnee and sportif. I have been put in charge of marketing, which includes production of the brochure. This is already well in hand and I’ll be working on it while I’m flying to and from on Oz. Well there’s only so many films you can watch and it’s an awfully long time to be airborne, even in Club class. The club had a magnificent turn out for yesterday’s pointage which included a climb up Mont Chauve. I did this for the first time last year and was disappointed not to have done the race as no other women had taken part. But there were two this year, so I’d have been 3rd. However, I decided not to contest the sprint and plodded away at my own pace. Amazingly, I overtook a number of riders who had probably set off too quickly and were beginning to flag in the final kilometers. However, the climb seemed much more difficult than I remembered and I suffered like a dog all the way up. Maybe it was the weather which was humid and overcast, ruining the normally panoramic view of Nice. Still, it was all worthwhile as we won the pointage, which was hosted by the largest Nicois club, beating into second place the 2nd largest club mainly because a number of their riders had forgotten their licences and therefore they didn’t qualify for the bonifications. As usual, ladies only made up 5% of the 395 participants. Contrast this turn-out with our own event which was held in August. We had over 560.